Abstract: Parents, as Santa Claus can give children Airwheel Z3 electric scooter at Christmas. That stuff is speedy, and scintillating that can satisfy some pick parents. The most popular festival—Christmas is coming; Santa Claus is riding a reindeer with a big sack of gifts for children. Certainly children are expecting the arrival of Santa Claus because the special grandpa will stuff all gifts into the hoses hanging on the Christmas trees. In fact, Father Christmas is parents, and they play the role of Santa Claus to give children gifts. As we know, children have also the strong desire to freely get around. Z3 is added some bike-like handlebars for hands, and rolls on two 8-inch tires boasting the maximum speed 20 kilometers per hour meeting the need for speed. Two foldable pedals are located between two tires for feet. Battery location design is beyond most people's expectation. It is positioned on the operating arm that is easy for parents or even children themselves to replace battery with a fresh one. Maybe some parents will worry about their kids is not tall enough to reach the handlebar. 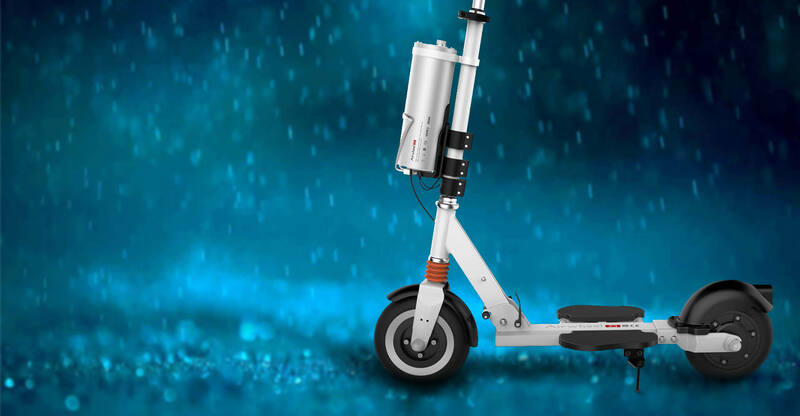 Luckily, Z3's electric scooter handlebar is adjustable with the scope from 130m to 190mm. 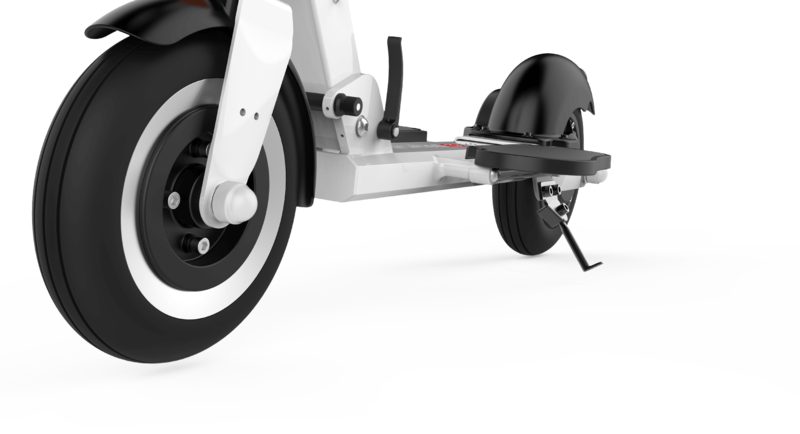 The retractable kickstand is easy for parking. Moreover, a taillight is installed for a safe ride. This scooter can be packed in a small carton. It will not affect parent to wrap it into a handsome present. This Airwheel Z3, a speedy, scintillating, yet safe electric scooter that is one of those go-to goodies which fuses fun with functionality, offering lessons learned through the thrills of steering and acceleration. All while it gives children a fulfilling and responsible sense of freedom. There is a fringe benefit for the parent that is Airwheel Z3 can be used as a personal transport when the naughty kid is tired of it. So it can be shared as a gift of the whole family. Next：In 2015 EICMA, three latest products presentation of Airwheel—Z3, M3 and S6 arise widely interest.